As much as parents might want their children to develop the type of maturity that could lead to them being able to afford their own homes in their twenties; the fact is that many teens find themselves focusing on aspects of their lives that they deem important right now. But that won’t stop a parent from caring about their kid’s future and a good way to maximise their potential in life is by encouraging them to start saving money as early as possible. 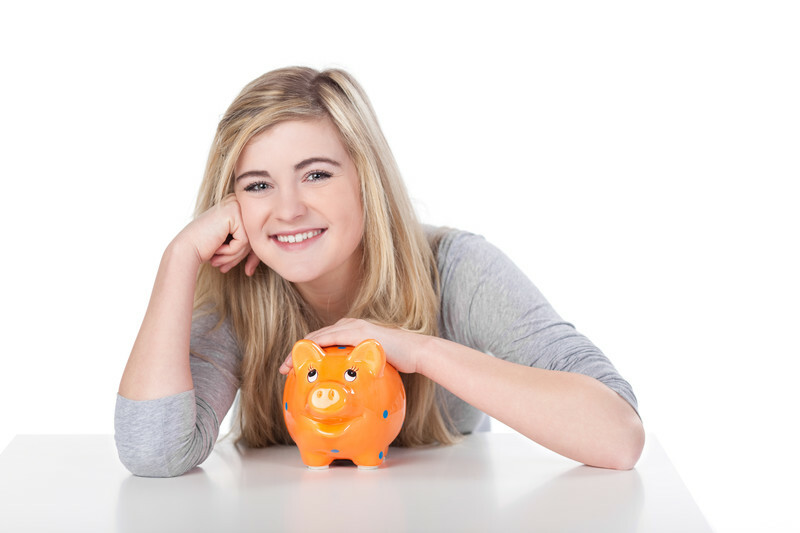 How can you help your teenager to save money? If you give your child $10 a week to spend on whatever they like, why not implement a new rule whereby 25% of their allowance is saved up on their behalf? Rather than leaving them to their own devices, why not take the opportunity to promote maturity by helping your child to open their own bank account that’s intended for savings. You could monitor their saving habits over time and suggest that they keep $2.50, or 25% of their allowance aside each week. Over time this $2.50 could become $10 a month, or $120 a year, which would in turn become multiple hundreds as the years go by. And the sooner that you start your child with their saving habits, the more money they could accumulate over time. If your teenager works, the chances are that they will already be making a comfortable sum each month. If they are in the habit of spending their income to the last cent however, then it might be worth stepping in and demonstrating how to save cash. As with above, 25% a week could be anywhere between $50 and a couple of hundred dollars – and over time this amount could shift into a very appealing sum indeed. And to encourage saving instead of withdrawing and spending, you could always offer to give a little extra to their bank account for every certain amount that they save. It is a good idea to open a dedicated bank account however; especially one suited for savings that can’t be touched for years (simply to discourage early withdrawals, as your teenager will certainly appreciate the lump sum when they are ready to invest in a car, or possibly even a property).